Situated in Eastern Uganda, Mbale is one of Uganda’s most stunning towns that you should consider a must to visit while on Uganda safari adventure. A visit to this spectacular district offers you opportunity to explore most of its remarkable landmarks especially Mount Elgon, the Tororo Rock, the historic Nyero Rock Paintings, the Jewish community temple-the Semei Kakungulu site, Sipi, Wanale hill, Sisiyi waterfalls, Kapkwai forest exploration centre, the Pian-Upe wildlife reserve, Kidepo Valley National Park and many more. Mbale district is bordered by Paliisa, Soroti and Kumi in the east and Kapchorwa in the west and Moroto in the north and Tororo in the south. It is occupied by over 708000 people and covers an area of 2466.7 square kilometers. Mount Elgon National Park is situated at a border between Uganda and Kenya. In Uganda, it is located between Mbale and Kapchorwa. This park is a gazetted international ecological area as a rare habitat to special vegetation species. It is also proud to be a home to remarkable wildlife species like the cheetah and buffaloes that roam around Mount Elgon ranges in Uganda and Kenya. This park also offers refuge to several bird species. Mount Elgon National Park was founded in 1993 and it can be reached through Kampala Mbale route or from Kapchorwa. It features the largest caldera that has a diameter of 8 kilometers and circumference of 40 kilometers and this makes Mount Elgon a home to the largest caldera in the world. Its mountain also features Wagagai as its highest peak that stands at altitude of about 4321 meters plus other peaks like Koitobos which stands at 4222 meters, Mubiyi at 4210 meters. Wanale Hill features among the most spectacular mountain ranges, escarpments, deep valleys, water streaked cliffs, caves and rocks. Mount Wanale is very visible mountain range of Mount Elgon. The Sipi falls comprises of 3 most stunning waterfalls in Kapchorwa district northeast of Sironko and Mbale. These waterfalls are located at the rim of Mount Elgon National Park just at the border with Kenya. The Sipi falls area is beginning point for most of the hikes to Mount Elgon. The most famous routes begin in Budadiri and follow the Sasa trail to the summit and then descend down the Sipi trail back into the Sipi falls. Hikes within the waterfalls provide the most remarkable views of the Karamoja plains, Lake Kyoga and the slopes of Mount Elgon. The Sipi falls come with variety of other exciting tourist activities most of which include hiking in and around the local area and exploring the local waterfalls abseiling against the falls, coffee exploration and nature walks. The Sisiyi waterfalls are situated in Buyaga sub area, Bulambuli town eastern Uganda. This spectacular waterfalls lie at a distance along the way from Mbale to Sironko, Kapchorwa, Moroto and Bulambuli district. The Sisiyi waterfall area is perfect for camping safaris, family picnics, team building activities, relaxation. The Nyero Rock Paintings are located about 65 kilometers north of Mbale and feature the finest rock art sites in eastern area. About 3 panels are located within the extensive granite outcrop of Moru Ikara, 10 kilometers off Kumi district and 55 kilometers off Mbale along Soroti route. However, the most stunning is panel two that comprises of 2 canoes featuring human figures. For cultural enthusiasts on Uganda safari, Imbalu circumcision ceremony should be a must to explore in your bucket list. 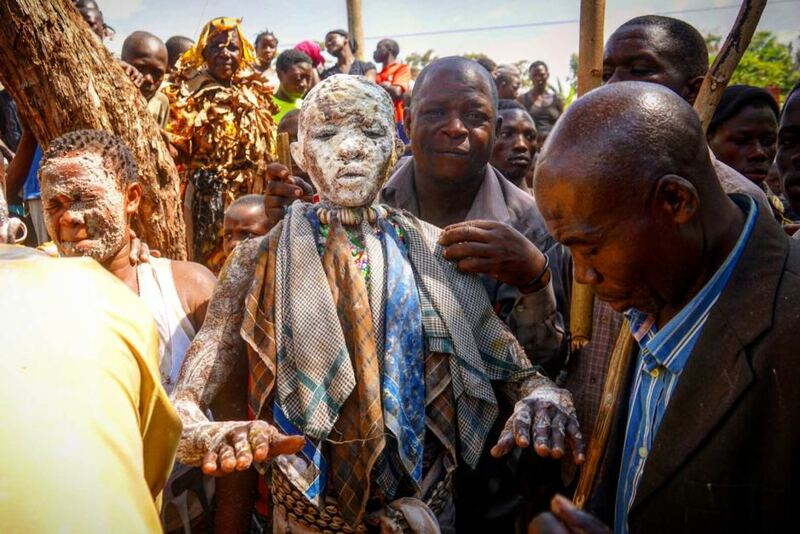 The Imbalu male circumcision is legendary ceremony in the Bagisu ethnic group in which boys are initiated into men. 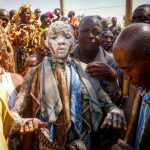 The rituals come with a festive atmosphere in the Elgon area, music blares, dances, food and many other gifts that are given to the boys being circumcised. Usually, this cultural event is conducted in the month of August of every even year. The bull fights are arranged around Namasho village, Bulucheke Sub County, Bududa town after each fortnight on Saturdays. The bull fighting tradition in Bududa started around 1956. Around mid 50s to 70s the fights were not considered serious. This traditional practice was more of an occasional and casual pastime for most local herdsmen in Namasho village. The referees usually gauge the sizes of the animals that are to fight and about 1000 people gather to cheer up the event and usually 2 to 3 pairs of bulls fight at once with the owners watching closely and cheering up their animals. This sport is part of the Bamasaba’s cultural heritage which has existed since 1950s. The spectators carry with them containers of local brew that they take while watching the fights while the elders pray to their gods prior the fight as away of paying respect to the forefathers whom they believe started the event. The bull which features the strongest is named after the strongest leader in the world and its owner is given some small amount of cash prizes from the community bets. The winners usually get around 5000 to shs.20000 and during better day, local politicians can even take up to shs.500000. The Semei Kakungulu tombs and the Mutoto Circumcision sites are the two incredible cultural sites that you shouldn’t miss to pay a visit while on safari in Mbale district. The Semei Kakungulu tombs are situated around five kilometers along Mbale Soroti route and Mutoto circumcision site is situated within Mbale municipality. The tombs are of the former representative of the colonial government who was in charge of Eastern Uganda while Mutoto heritage is an area where the annual circumcision ceremony is usually launched. Other remarkable tourist attractions near Mbale that you should pay a visit include the Tororo rock, the Kapkwai forest exploration center, the Pian-Upe and Matheniko Bokora Wildlife Reserve. 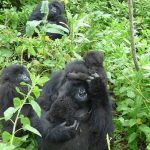 In conclusion, Mbale district and its surrounding areas feature a number of remarkable tourist attractions that reward visitors on Uganda safari with remarkable experiences. This stunning district features several tourist sites that are worth exploring while you are on safari in the pearl of Africa.